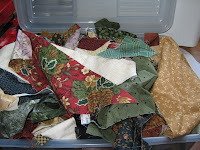 How does a tote full of thimbleberrie fabric scraps entice you. Most of the scraps are just under a fat quarter. 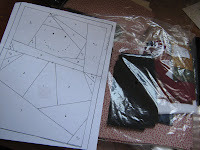 As well I have a kit for putting together a paper pieced snowman. Now the rules are simple. If you are a follower you receive three entries. If you post it on your blog you receive an extra entry. Those of you who are not receive one entry. So lets have some fun. We are away antiquing all day, so enjoy your long weekend. Oh, how exciting for you. I love your blog and your beautiful lavender profile picture! Oooo I LOVE anything Thimbleberries. Great giveaway. Please count me in. Thats a very good offer for a giveaway. Thanks! Great giveaway. I love fabric scraps! ..and I love Thimbleberries fabric!! ..and I am a follower!! I arrived here via The Painted Quilt - my first visit to your blog. 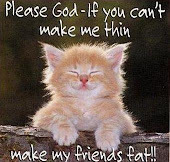 I love it--count me in please! I love scraps,you can make so much with them. Have a happy day. Hello Linda, I have just added your picture and a link about your giveaway to my sidebar on my blog. I hope I win. That tote looks like it is full of such beautiful fabric. Hey Linda, congrats on your 100th post! What a great bunch of goodies....and I have been a follower! Count me in twice! I've posted about your giveaway in 'Giveaway Corner' on my right hand column. Great goodies! Becky G.
Great giveaway and I have been following you. 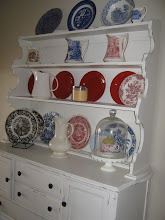 Would love to win this --- especially for the Snowman pattern. It's darling. Fabric scraps are my favorite things! Please count me in! 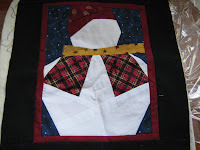 I love Thimbleberrie fabrics and the Snowman pattern is so cute! I am a happy follower of your blog. I love the snowmen you made! Count me in, please! I thought I was a follower here, but it must be another lavender site. I can't access your follower section...I get an error on page: I'll try to return sometime and see if it loads without the error. OOOHHH...I love scraps!! I am a follower! I'm a beginner quilter, and this will really help establish my stash. Would love to win! I've become a follower today and look forward to viewing your blog. Thanks. Yes, i am a follower...just found your blog. Please count me in...I love your snowman pattern. You enticed me to drop my name with that adorable snowman pillow!! 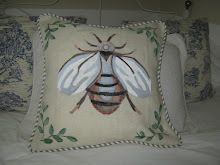 Just found your blog via The Painted Quilt blog and had to become a follower! I'm a lover of lavender too but can't grow it where we live. I think your snowman is tooooo cute, especially in Thimbleberries...another of my faves!!! I would love to win. Thimbleberries fabrics are so great. Only one entry for me but I am hoping it is the right one! I am already a follower and I love scraps! Love Thimbleberries & can always use scraps I'm a follower so count me in your great giveaway!